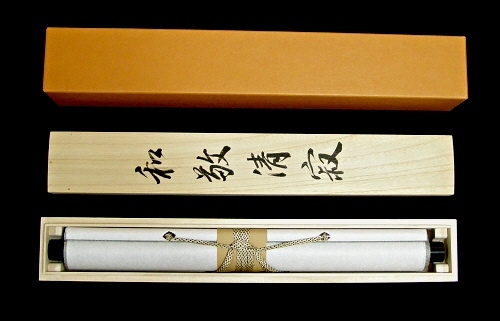 Belongs to the Sanbi-Kai Group in Gifu Prefecture. Accepted for the Mainichi Exhibition, Kenten Exhibition and others. 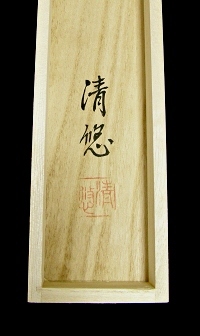 The Kanji phrase is written "Wakei Seijaku". Sen no Rikyu (1522 - 1591), the historical giant for Japanese Tea Ceremony liked this phrase. Means "Calm down and act in union". The Kanji characters are drawn in good form.